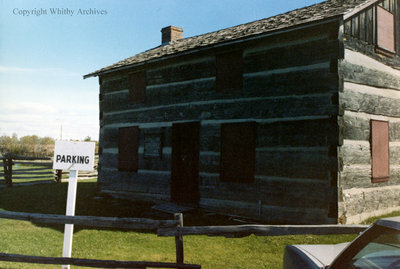 A colour photograph of the Log Cabin Emporium at its previous location in Courtice, Ontario. View is of the front of the cabin taken from the right corner. Log Cabin Emporium, c.1981, Photographer Unknown. Whitby Archives A2013_042_115.